Shivonne Churche-Isaacs, left, with Adam Pascall, right, performing at the Brown Bag Series. 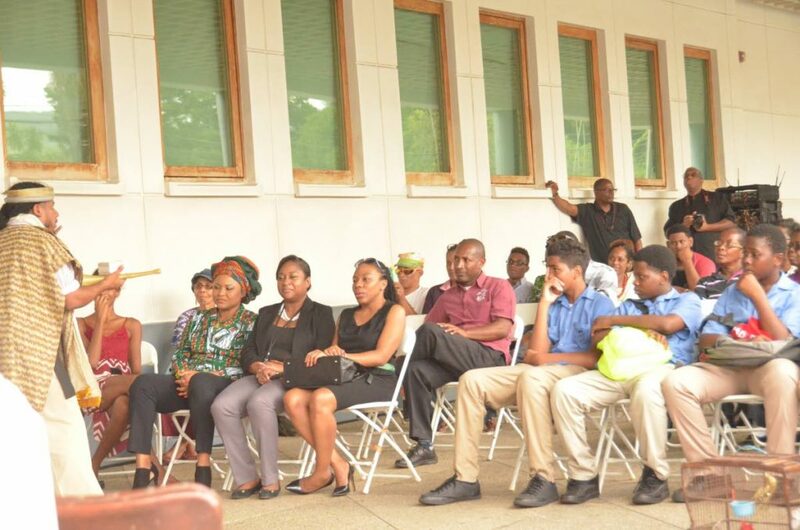 The Brown Bag Series held annually in July took on a Christmas edition at the National Library, Port of Spain, and Harris Promenade, San Fernando. For this series, the Ministry of Community Development, Culture and the Arts, through the National Performing Arts entities hosted four, free lunch-time concerts which ended yesterday. 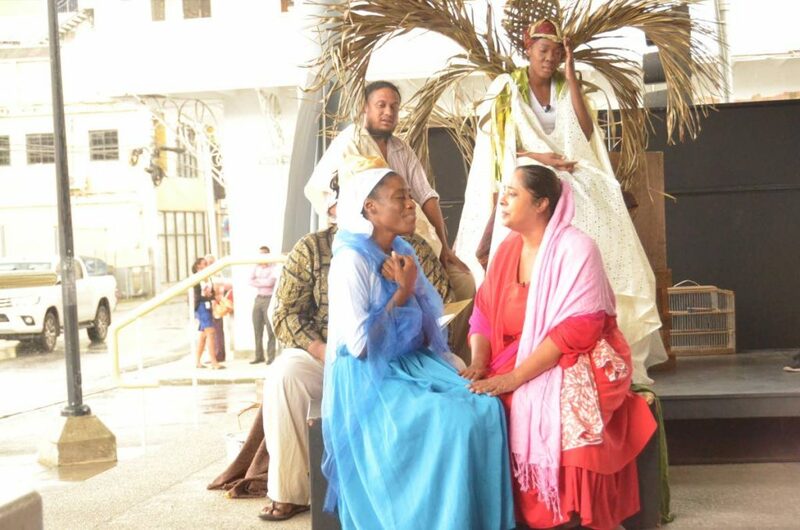 Syntyche Bishop, left, Patti-Anne Ali with Lalonde Ochoa and Chanel Glasgow at the Brown Bag Series Christmas in the Marketplace theatrical production at Nalis, Port of Spain. 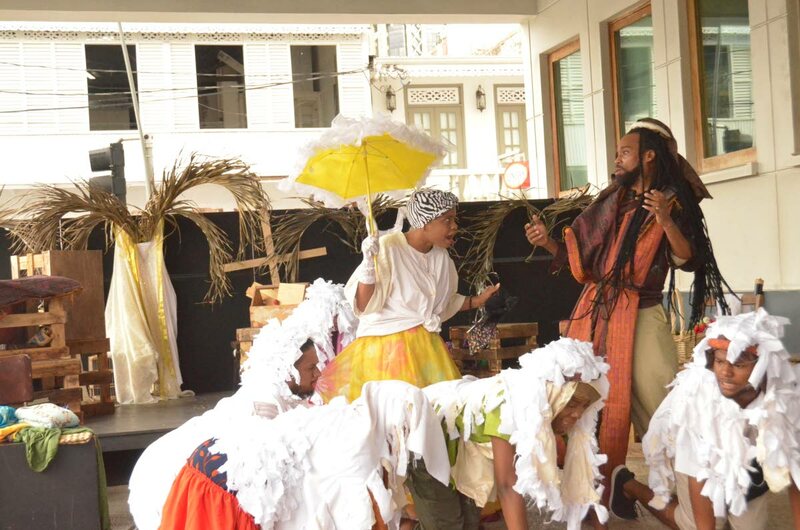 At the first concert on Tuesday at the Nalis undercroft on Abercromby Street in Port of Spain, the National Theatre Arts Company of Trinidad and Tobago (NTAC) staged the production titled Christmas in the Marketplace. This Nativity play, written by French playwright, Henri Ghéon retells the story of the birth of Jesus Christ through a family of strolling travellers. Utilising the first two acts of the play, NTAC directed by Belinda Barnes adapted the story to our local context while maintaining the essence of the play and sharing the spirit of Christmas, said a media release. This indigenous adaptation takes the audience from the angelic visitation to Mary, to the arrival of the Magi paying homage to the baby Jesus. The audience is engrossed during the production of Brown Bag series Christmas in the Marketplace including Dr Nyan Gadsby-Dolly, Minister of Community Development, Culture and the Arts at Nalis, Port of Spain. Popular Christmas songs were featured throughout the show with musical accompaniment by the National Philharmonic Orchestra and the National Steel Symphony Orchestra. Reply to "Christmas Marketplace comes to town"